Think of a positive title for your spouse. Was it lover, friend, provider? I began the habit over 10 years ago, of giving my husband titles that described his character. I would think of descriptive words too describe how much of a blessing he is to me. The first was in an effort to acknowledge his purpose in my life. The second was to intentionally create a buffer between any negative thoughts that could arise during stressful times in our marriage. Over time, these descriptive words began to shape not only my thoughts toward my husband for the better but my actions as well. It became harder for me to look at him as a replaceable part of my life. After awhile, I could no longer even image my life without him. 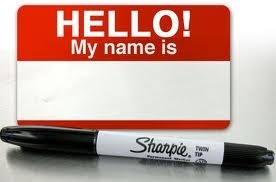 Create a list of names for your own spouse. Copy and paste it into the comment section below. In the meantime, take a look at my list below. Start typing up the positive names that describe your spouse. It may feel silly but do it anyway. This challenge is not just about a list of names. It’s about a heart change, an attitude shift and perspective alignment. If nothing else, it will make your spouse feel good to read what you think about them. Lord I pray that you would help us to keep our hearts turned toward our husband. I pray that you would spur us on to find holy ways to keep our love and affection toward them not kindled like a tiny fire but blazing like and inferno. Give us a passionate love for them. A love designed only for their special role as our husbands. This is SO GOOD! I love the part about how naming him made it harder for you to think of him as a replaceable part of your life. And how awesome to build an arsenal against our own thoughts, to combat where our enemy would like those thoughts to take us! Thank you!